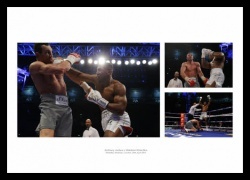 Three photos on one print of the classic fight. 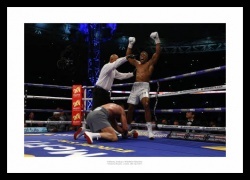 Joshua celebrates after knocking down Klitschko. 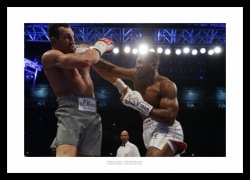 Joshua lands the punch of the night against Klitschko. 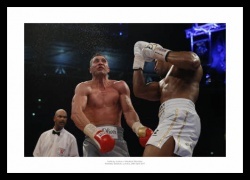 A superb photo of Joshua in action during the classic fight.